Watch Chase on CMT Hot 20 Countdown Tomorrow! Chase’s allegiance to his alma mater, the University of North Carolina at Chapel Hill, and its Tar Heels is well documented, but viewers will have the chance to see Chase return to his roots for the first time as a headlining artist in a new episode of CMT Hot 20 Countdown premiering tomorrow, April 23 at 9 a.m. ET/PT. Chase filmed the episode during a recent tour stop at the university on Campus Events Network Presents College Days, Country Nights: The Chase Rice Back to College Tour, which is his fourth headlining run after opening for Kenny Chesney on The Big Revival Tour 2015 and consistently selling out 2,000 – 3,000 seat capacity venues on his JD and Jesus Tour last fall. 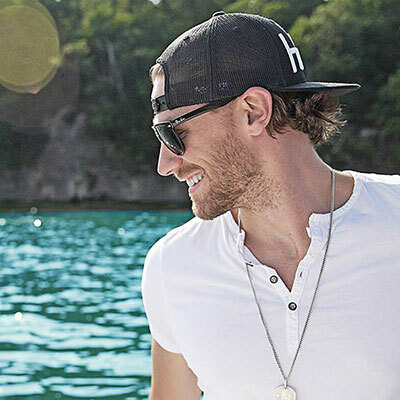 The Chase Rice Back to College Tour continues tomorrow at Southern Illinois University and concludes at the University of New Hampshire on May 7, after which Chase will continue to perform select headlining shows and festivals throughout the summer. As always love hearing the inside story to who Chase is and what him who he is. See you in Connecticut and New Hampshire.